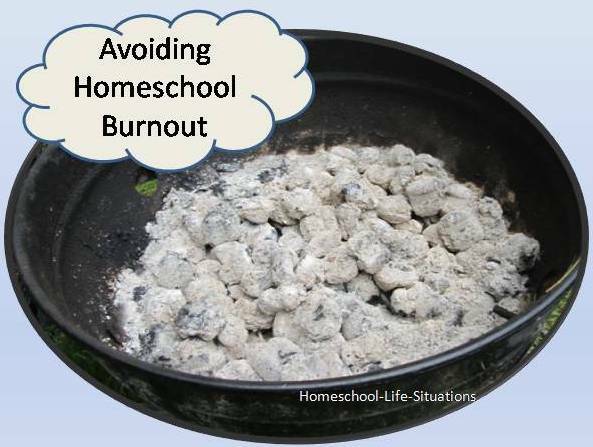 Feeling overwhelmed, depressed, lack of confidence, you probably are experiencing homeschool burnout. I am here to tell you that you can overcome these feelings. You can return to the joy of educating your children. Here are seven tips that have helped me deal with my negative feelings. The first thing that I do when I experience homeschool burnout is to pray. In James 1:5 is says that we should ask for wisdom. We also need to thank God for what He has already done in our lives. Thinking about our blessing can help us not to feel so overwhelmed. Reading and remembering God’s promises can also help. In Lamentations 3:22-23 we read that the Lord’s mercies are new every morning. Homeschooling can be a lonely adventure. It can be hard to listen to children all day long. If we have a child with special needs it can be very hard. Having some women friends can help with homeschool burnout. You can find likeminded people at your local church or homeschool group. When I am feeling depressed I like to read what others have written. There are lots of places to find inspiration online. Besides blogs and websites I like to visit pinterest, facebook, twitter, and google plus. I also talk to my husband about my frustration. Then he can pray for me and our children. Sometimes I feel frustrated because we are not progressing with the curriculum. One thing we can do is to remember what are priorities are. We should first be taking care of our children’s spiritual health. We need to make sure that they believe in Jesus Christ as their personal savior. Next we need to remember that it can take children time to learn. Everyone learns at their own rate. If it is taking too long we can change our teaching style or curriculum. If making changes does not seem to work we can have our child evaluated for learning disabilities. Sometimes we can feel burned out because our home is cluttered. I don’t know about you but I don’t work well when my home is messy. I like to have books in bookcases and paper put up. I also like to live in a clean house. So we try to do chores every day. Children should be taught to help with cleaning. Even young children can learn to put away toys and wipe the table. Sometimes changing your schedule can help overcome homeschool burnout. There is nothing saying that you have to teach reading first. I like to start with the subject that my child is struggling with. Then it is out of the way. Another idea is to do schooling in the afternoon instead of in the morning. Some children struggle with getting up in the mornings. We don’t have to be a slave to the 9:00 to 3:30 school day. Besides changing your daily schedule you can take a day off. Go on a mini vacation for fun. One of the benefits of homeschooling is that we can take vacations in the off season. Field trips can also break up the monopoly of teaching. Our children can also learn more by experiencing than by just reading about a place. Art, crafts, and other hands-on projects are usually fun for children to do, although hands-on projects can be frustrating because they are messy. Now my children pick up after themselves so that I don’t have to worry about the mess. Sometimes to overcome homeschool burnout I need to take a break from my children. I would take some time and go for coffee or visit a friend. If you or your children are bored with the curriculum you can take break. Do something different. Do a unit study on a subject that interests you and your children. Some unit studies can be finished in a week or two. Another idea is to make your child responsible for his learning. With your child determine some educational goals that need to be completed in a specific time frame. Then let your child finish the assignments on his own. Let him find the answers to the questions by himself. If he is really stuck let him know that he can come to you for help. Homeschool burnout can be overcome if we are creative and are willing to change what we are doing.